Ignacio Mas is an independent consultant on mobile money. Creating a viable mobile money service is fundamentally a question of marketing (driving appropriate use cases tapping into clear customer pain points) and distribution (creating a sufficiently dense, liquid agent network). But success on both fronts requires getting to scale quickly: on the marketing side because payment solutions are only really useful if enough other people and businesses have already joined; and on the distribution side because customers won’t join if there aren’t already many agents, while agents won’t come if there aren’t already many customers. Building a mobile money scheme entails breaking these two powerful vicious circles; no wonder so many are floundering. Indeed, network effects work against you when you are small, and carry you seemingly effortlessly when you are large. 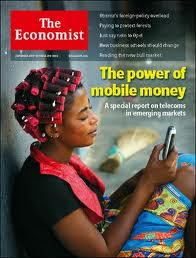 New mobile money providers need to make a dash to that critical mass point where vicious circles turn virtuous. But what defines that point? Because it’s a matter of scale, it can be defined fairly precisely mathematically. This is an identity: it must always hold, because the left-hand side of the equation counts the total number of cash in/out (CICO) transactions that customers demand (responding to marketing levers), and the right-hand side counts the total number of CICO transactions that agents perform (responding to distribution levers). See for instance how this might fit for M-PESA in Kenya, based on published half year FY13 results. They report 15 million active customers, KES 80bn in monthly e-transactions, KES 69bn and 62b in monthly cash-in and cash-out value, and 45k agents. Assume, since this information is not disclosed, that the average transaction size is USD 30 on both electronic and cash transactions, and that around a quarter of agents don’t do much business at all. With this information we can estimate that the average number of e-transactions per active customer per month is 2.1 ([KES 80bn total transaction value] / [exchange rate of 84 KES per USD] / [15mn clients] / [USD 30 average transaction size]), and that the number of CICO transactions per e-transaction is 1.6 ([KES 69mn cash-in] + [KES 69mn cash-out] / [KES 80mn e-transactions]). Using the above equation we can then back out the average number of transactions per active agent per day: around 50 (try it). Marketing wow condition: There is a compelling proposition for customers if mobile money delivers at least an order-of-magnitude (i.e. 10x) increase in convenience over alternative payment systems. In the case of Kenya, the largest banks have less than 200 branches at which people can cash in and out – against M-PESA’s 34,000 active agents (remember that was assuming that one quarter of agents are inactive). That’s a staggering two-order of magnitude (almost 200x) improvement in convenience. Distribution wow condition: There is a compelling proposition for agents to strive to maintain adequate liquidity at all times if the M-PESA agency pays for at least a daily salary. In Kenya, a daily salary for a store clerk might be $3 (perhaps less in rural areas), and an agent doing 50 transactions per day at an average commission of 8 cents per transactions will make $4 per day. M-PESA works and expands because customers and agents alike see value in joining. But of course we already knew that: we just formalized it mathematically. Let me make two clarifications on these critical mass conditions. On the marketing wow condition, I am basing the customer convenience calculation on the number of cash outlets because that’s the starting and/or ending point of all transactions, at least so long as people are living in a predominantly cash economy. On the distribution wow condition, I am not including the non-monetary benefits for agents (drawing foot traffic into the store) because most stores would see this as up-side rather than in itself justifying the activity. I know many disagree with me on this, but try selling your brand of toothpaste through the store at low/no commission, arguing to the store owner that when people buy toothpaste they also might buy toothbrushes and soap and so it’s really in her interest. There might be something to the argument, especially in rural areas with fewer shops, but that can’t be the essence of the agent business case. If you are a new scheme, how do you get to the point where you can meet these two conditions for critical mass? You must tread carefully, because a mad dash to sign up many agents to fulfill the marketing wow condition (a common temptation) will dilute the volume of business per agent and get in the way of fulfilling the distribution wow condition. In fact, one of the most remarkable features of the evolution of M-PESA in Kenya is how Safaricom maintained balanced growth in both customer and agent numbers – thereby keeping transaction volume per agent and hence agent remuneration stable. There is probably relatively little you can do to increase dramatically the number of e-transactions per active client. Mobile money, at least initially, must focus on those transactions were cash presents the biggest pain points: transactions which involve two parties that are apart (transporting cash is costly and slow), involve larger amounts (cash is unsafe), or occur at unattended points of sale (like parking meters, where it’s costly if not impossible to offer change). But these transactions will be few in the daily lives of most poor people in developing countries, so don’t count on the number of e-transactions per active client per month being larger than say 1-3, at least initially. 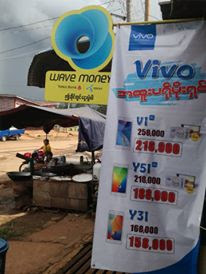 You can prime e-transaction volumes with things like airtime top-ups, but remember that for this type of transaction the marketing wow condition is not likely to be met (there are likely to be many more prepaid airtime outlets than mobile money outlets) so it will only grow rapidly if you provide enough discounts for topping up from the mobile phone. And finally keep in mind that some of the services that may trigger additional mobile payment uses –such as encouraging bulk payments, bill payments, merchant payments or airtime top-ups— entail a cash transaction on only one side, and hence will not contribute as much to the agent transaction volumes and business case (i.e. they have a coefficient of [# of CICOs per e-transaction] of less than one). So there is no obvious way of growing your way fast into critical mass. But what did you expect. Mathematics provides clarity about the dynamics of the business, but not a recipe on how to succeed. Great post, and good to see this sort of maths being written down publicly. Every operator probably does something similar, whether it's on a spreadsheet or the back of an envelope. Two great things about an equation like that. First, both sides must be in balance, which shows that you can't succeed by only getting the demand side or the supply side right, you need to work on both of them. Secondly (and this is the hard part), none of the variables in the equation can be directly altered by the operator except maybe "Number of active agents." All the other variables need to be adjusted through subtle nudges. Marketing, awareness campaigns, mass payments can all nudge the numbers upwards, but I think we can all agree it's a hard slog. Excellent post, Michael you right too, it is a slog that few understand and fewer will get to experience. But if you get the success Wing has it is all worth the hardships and slog's.